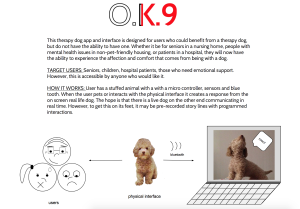 For my final project, I have decided to push forward with O.K.9, the alternative option for pet therapy. Distance Sensor reads proximity. When user is in a certain range, the dog’s tongue comes out for a lick. This is made possible by the servo motor. 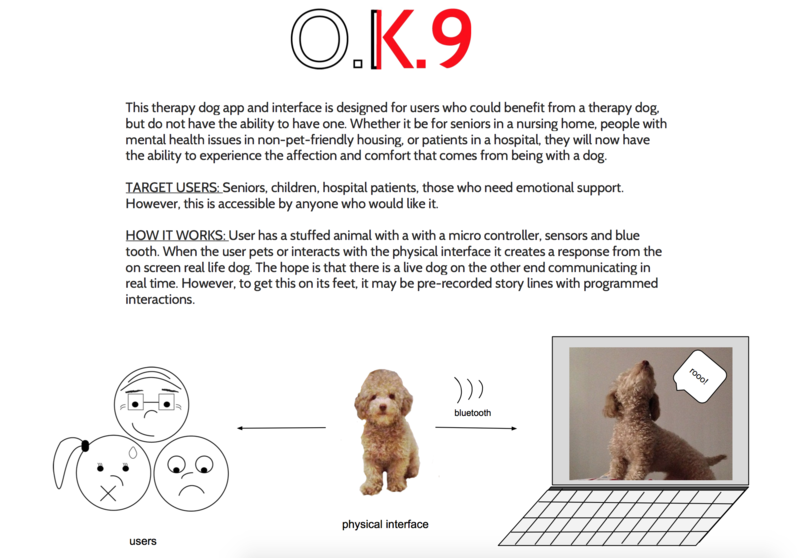 When you pet the dog on the back, the force/touch sensor will pick up the range of the force. 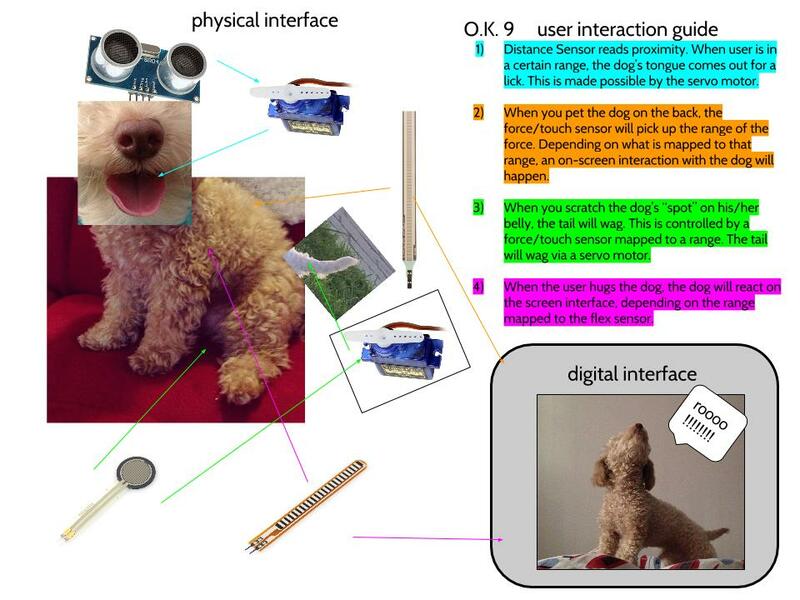 Depending on what is mapped to that range, an on-screen interaction with the dog will happen. When you scratch the dog’s “spot” on his/her belly, the tail will wag. This is controlled by a force/touch sensor mapped to a range. The tail will wag via a servo motor. 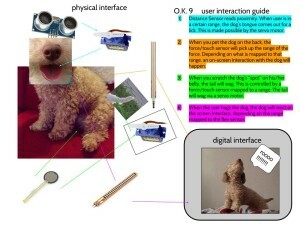 When the user hugs the dog, the dog will react on the screen interface, depending on the range mapped to the flex sensor. What are the most important interactions that I have projected to accomplish? 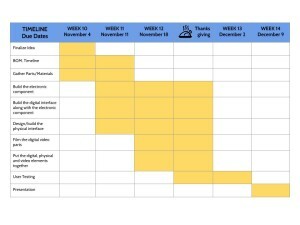 Which one(s) make you as a user feel better in the process? This is awesome! I really enjoy your concept, and just based off of my own family’s challenges in hospitals and dogs, I can really appreciate the driving thought behind this. Excited to see it come into fruition.